AS LIGHTWEIGHT AS POWERFUL. THE SECRET OF ULTIMATE SKIN REVITALIZATION REVEALED BY YSL.The treasure of saffron is now infused in a new delicate, light and fresh texture: OR ROUGE FLUID. Enriched with natural ingredients, its fine formula instantaneously melts on the skin for a skin refining action, mattified finish and premium skin softness. Discover the excellence of a resurfaced, radiant and more elastic skin surface, with this imperceptible global skincare. 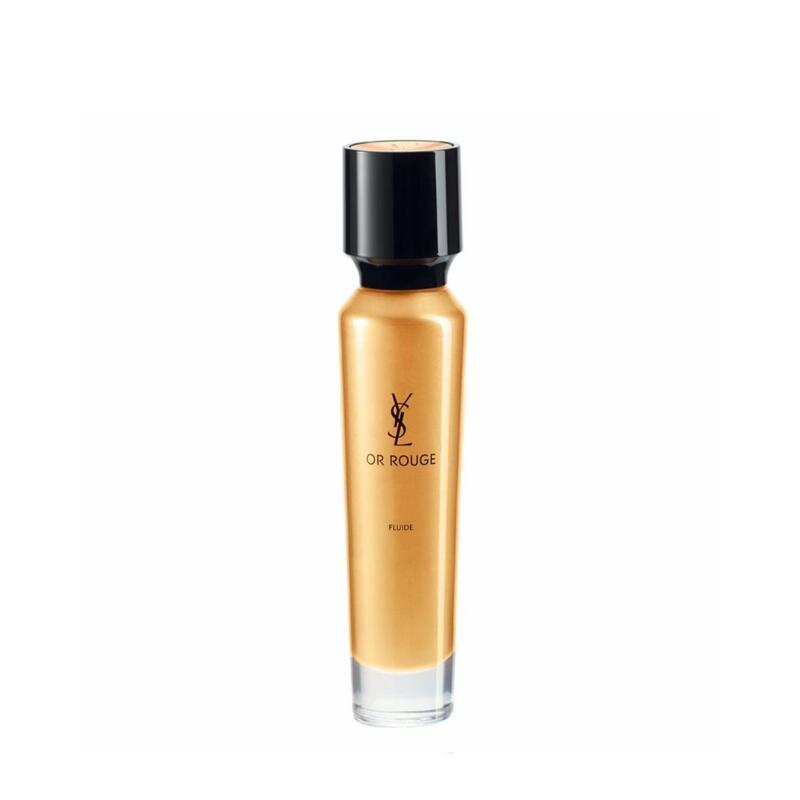 Its perfect affinity with YSL foundations makes OR ROUGE FLUID the optimal ally to reveal a smooth, homogeneous and luminous complexion. Apply OR ROUGE FLUID or CREME every morning after applying OR ROUGE SERUM and OR ROUGE EYE CREME.